The Xiaomi Mi5 was only released a couple of months ago, but the Chinese company is already refreshing it with some improved specifications. 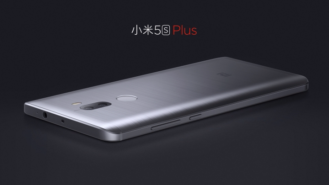 In addition, Xiaomi has announced a larger version of the Mi5s, the aptly-named Mi5s Plus. (Does this naming scheme remind you of a certain fruit company's?) Both handsets sport excellent internals and great price tags. First up, the Mi5s. This phone is largely based on the outgoing Mi5, but there are a number of changes, both inside and out. On the exterior, the main changes include a metal back, an ultrasonic fingerprint sensor, and a pressure-sensitive display. 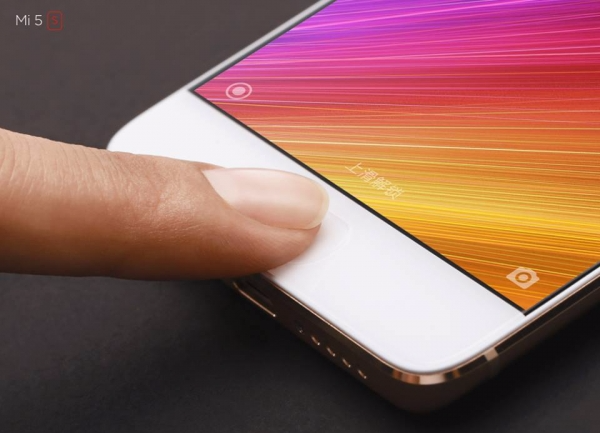 While the Mi5's rear panel was glass, Xiaomi is going with metal for the Mi5s. The new sensor, which is the first production implementation of Qualcomm's Sense ID, is notable in that it is located underneath the front glass panel; this gives the front of the phone a more seamless and cohesive appearance. 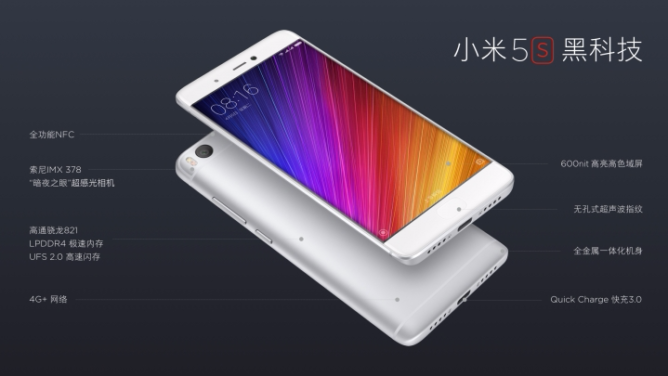 Xiaomi is also adding a pressure-sensitive display to the 4GB/128GB model of the Mi5s. Under the hood, we see a few noteworthy spec bumps. The Mi5s sports a 5.15" 1080p display, a Snapdragon 821, 3GB or 4GB of DDR4 RAM, and 64GB or 128GB of UFS 2.0 internal storage. This makes it one of the most powerful phones out there, and fast storage is nice to see. There's also a new 12MP Sony IMX378 camera, which has great potential (the Nexus 5X/6P and HTC 10 use this sensor's predecessor), and a 4MP front-facing camera that appears to have been carried over from the Mi5. A 3200mAh battery keeps the lights on. 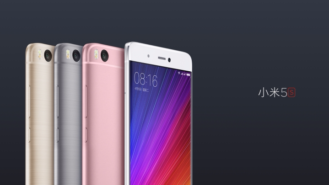 Like the Mi5, the Mi5s has USB Type-C, dual SIM capabilities, and Quick Charge 3.0 on board. Now, the Mi5s Plus. 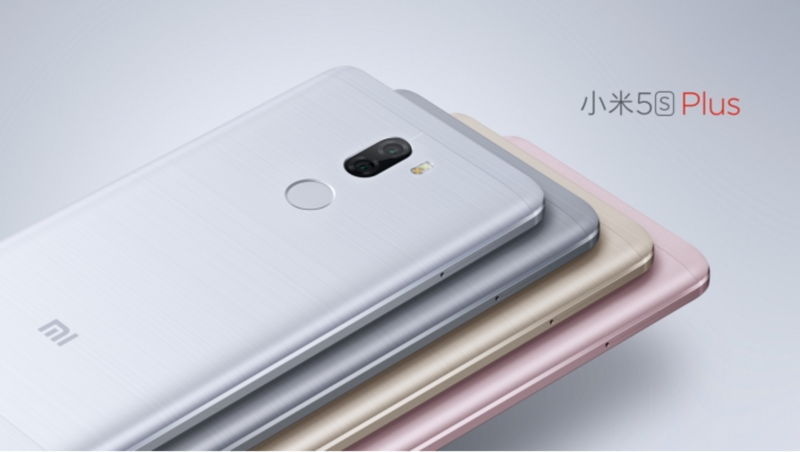 Like the Mi5s, it has a metal construction, but it doesn't have the new ultrasonic fingerprint sensor or pressure-sensitive display. However, it does nab a pair of 13MP cameras on the back. Like the Huawei P9 and Honor 8's setups, one is a normal sensor and one is monochromatic. It's unclear who makes these, but they can shoot RAW images. 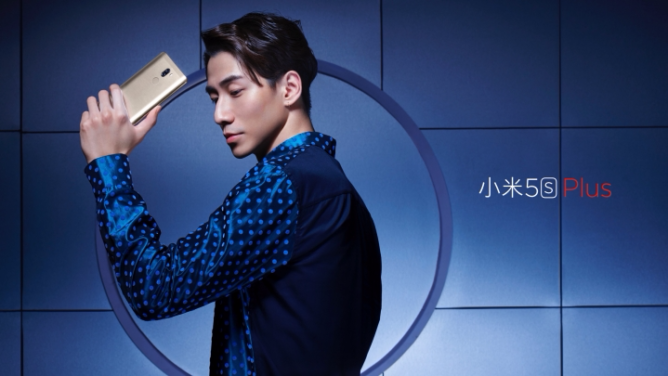 This guy looks like he just hit himself in the head with his Mi5s Plus. 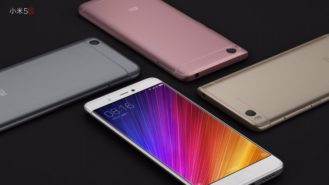 Shared specs between the Mi5s and its Plus sibling include the Snapdragon 821, 64GB or 128GB of UFS 2.0 storage, 4MP selfie cam, USB-C, dual SIM, and QC3.0. Everything else is different; the Plus has a 5.7" 1080p display, 4GB or a whopping 6GB of DDR4 RAM, the aforementioned dual 13MP cameras, and a massive 3800mAh cell (seriously impressive for a 7.95mm-thick phone). Pricing for China has been announced, and it's pretty incredible. 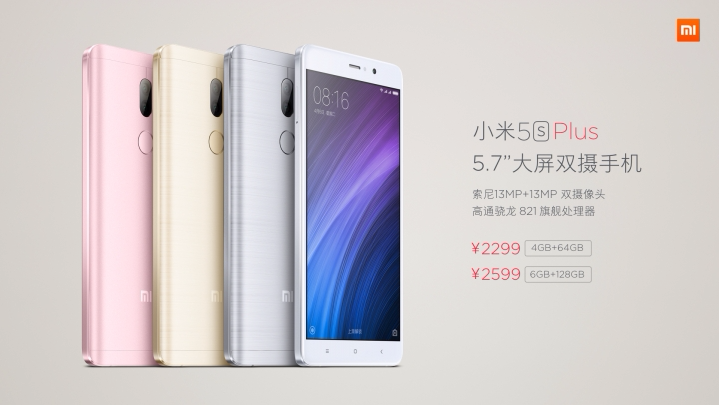 The 3GB/64GB Mi5s will retail for just 1999 yuan ($300) and the 4GB/128GB Mi5s will go for 2299 yuan ($345). 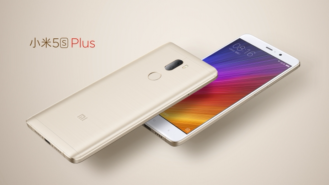 The 4GB/64GB Mi5s Plus will also sell for 2299 yuan ($345), and the 6GB/128GB Plus will cost you 2599 yuan ($390). All models will be available in gray, gold, silver, and pink (I refuse to call it rose gold). The first flash sale will take place on September 29th.